At artist John Coulthart's blog feuilleton, always a cornucopia of the strange and wonderful, he mentions his design for the cover of a new work of modern experimental music by Watch Repair. "The perfect accompaniment to an Autumnal afternoon reading a good book", according to Matt at Piccadilly Records, Manchester, where the release may be found. I've been able to listen to these recordings as they developed and have certainly been impressed by their stark and austere beauty. 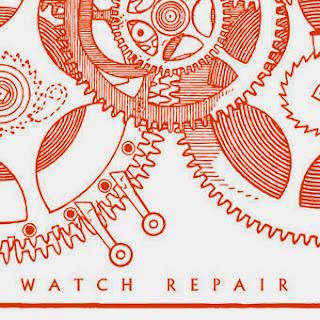 This is fragile music that requires close listening, drawing on barely-touched guitar strings and echoes and shimmers from treated clock chimes augmented by the subtlest possible electronic treatments. There's a sense of a chiselled work, whittled to its purest form so that it exists close to the margins of silence. In my experience, the compositions bring a brittle sense of otherness for the listener, which lingers long after the work has come to an end. For some time I have greatly admired the music and writing of Richard Skelton and Autumn Richardson, who together comprise Corbel Stone Press. They produce rare compositions and publications, works of austere beauty, with delicate attention to detail and a fine sense of form and of space. Drawing on time dwelt in landscapes they study and inhabit with care, their work is infused by melancholy and loss: but it also makes an affirmation in the way it records and memorialises the things we have lost. The latest project from Richard Skelton, available now for pre-order and to be released in early October, is Nimrod is Lost In Orion and Osyris in the Doggestarre, an album and book inspired in part by the prose of Sir Thomas Browne, some of the most elaborate and arcane in the English language (Arthur Machen, amongst others, was a great appreciator of his work). "Richard Skelton's first solo album in two years is preoccupied with 'the great volume of nature', its delicacy and violence, light and dark, solace and psychological burden. The music hovers between the empyreal and the subterranean, and - framed by the accompanying book of texts, art and photography - offers what Skelton describes as a 'picture of a wood through which slanting light dimly traces other forms'." Sidney Hunt is Britain’s lost art deco experimental poet. An artist, engraver, designer and fervent spirit in the Nineteen Twenties and Thirties, he worked always on the boldest, most outré edges of art and literature. He contributed to many of the leading modernist journals of interwar Europe, and was known amongst the radical artists and poets of Paris, Berlin, Amsterdam and London. Yet until recently he has been almost completely overlooked. This new handmade edition offers the first British publication of three works by Sidney Hunt from Contimporanul, the Romanian avant-garde magazine, in 1927-8. They are probably amongst the first “sound poems” and “visual poems” by a British poet. 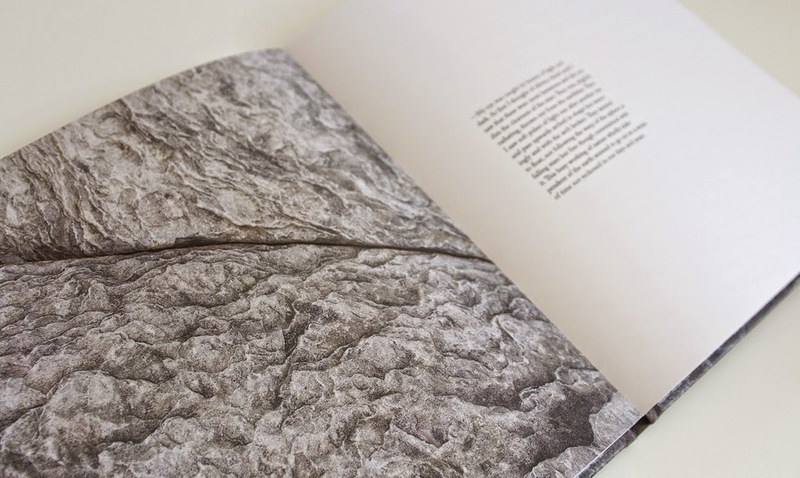 The three typographically adventurous pieces are reproduced in a paper chapbook with black linen card covers, together with an introductory note by Mark Valentine. The design, by Jo Valentine, also includes a hand-produced thermofax silk screen print, in white on black, of one of the poems, ‘Sea on Jetty’. This is housed in a black Canson paper envelope with Nineteen Thirties cambric reinforcers and black hemp cord. 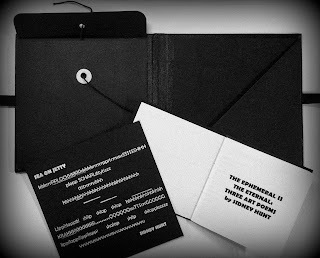 The print, envelope and booklet are presented in a hard cover binding in black buckram, tied with black grosgrain ribbon. 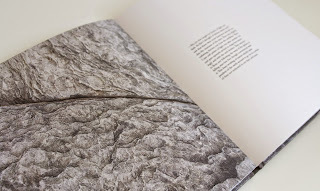 This is the sixth handmade publication from the Valentine & Valentine imprint. It is in a limited, numbered edition of 25 copies only (and 3 not for sale). All copies have now been taken. 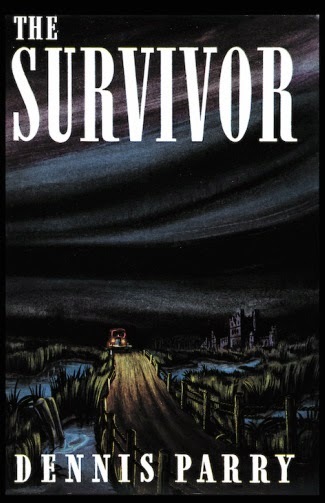 The Survivor (1940) by Dennis Parry, newly reprinted by Valancourt, is a distinctive novel of the supernatural that has been too long overlooked. As I say in my introduction, "it is surprising that it has not gained a greater reputation among enthusiasts of supernatural fiction. It is true that the near-omniscient E.F. Bleiler does give it qualified praise, noting the book’s “many good touches and flashes of wit”..." but very few other readers or critics seem to have noticed it. It is a story of possession set in the wintry fens around Ely during a virulent epidemic. The haunting is not a matter of fine shading and ambiguities. The spirit that returns is arrogant, boisterous and cunning: it exercises a sardonic sway over a remote village just as it had in life. Dennis Parry presents us with a cuttingly modern ghost story inflected with irony and Saki-like wit. At the same time, in the remorselessness of the fatal plague afflicting the country, he creates a chilling dystopia that adds to the bleakness of his work. It seems to me that Parry achieved with The Survivor a strikingly different and contemporary kind of supernatural story and it is a pity he did not continue to extend the possibilities of the form. I can imagine him working towards a smilar achievement as Robert Aickman or Elizabeth Bowen. As it is, this book is well worth our attention as an impressive contribution to the field. My introduction provides some detail about the author, but briefly (from Valancourt's announcement), "Dennis Parry (1912-1955) was the author of ten critically acclaimed novels but fell into an undeserved obscurity after his untimely death in a car accident at age 42. 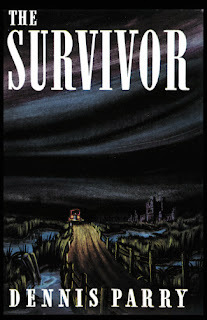 His third novel, The Survivor (1940), a classic story of the supernatural, earned rave reviews from critics, who ranked it alongside Henry James’s The Turn of the Screw and the works of Algernon Blackwood."